Canovee N.S. 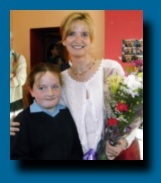 Welcomes Adi Roche, Chernobyl Children's Project. 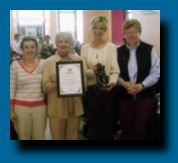 Adi Roche visited Canovee N.S.recently where children form all classes had donated toys for the children of Chernobyl. The toys formed part of the contents of the recent convoy to Bella-Russe. Adi presented the school with a scroll in recognition of their efforts. She was welcomed by Timothy Burton, Chairperson B.O.M. and Rev. Tim O' Sullivan P.P. Member's of Parent's Association with chairperson Liz Moynihan, provided refreshments on the night. 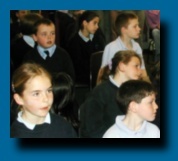 Adi met with and thanked teachers from the school including Bernie O' Connell, Elaine McCarthy and Rosarii Fitzgerald. Rita O' Brien Principal, made a presentation to Adi on behalf o the school.